OnlyPromos.com offers a wide variety of promotional products for everything from appreciation gifts for corporate events to party favors for birthdays and every event in between. We offer key chains and other items with an automotive theme as well as Earth-friendly items, some that are biodegradable! Many of our products can be personalized for your special events, including weddings, anniversaries, trade shows, and school fundraisers. 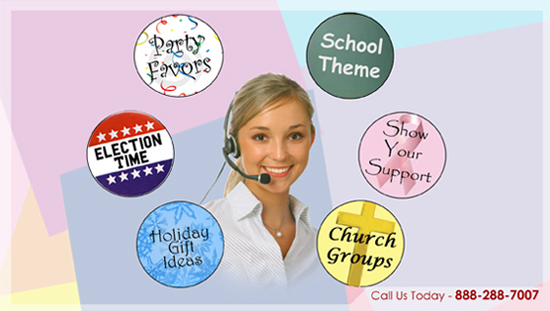 Church organizations will find many inspirational items, and our USA Pride products are perfect for patriotic holidays and voter registration events. A wide variety of products are available for non-profit organizations, Breast Cancer Awareness, and volunteer appreciation. Say thanks to your favorite teacher or nurse with a pre-printed item or give Mom or Dad a unique gift that shows them how much you care. Bags, calculators, pens, notepads, office items and even candy are imprintable and can be personalized (for our candy, please go to www.PrintCandies.com).